Pronoun Case: Celebrity Grammar with Ariana Grande! Welcome back to Celebrity Grammar, where you learn better grammar from the tweets of celebrities. Today we are going to be talking about Ariana Grande and pronoun case. Welcome to the first installment of Celebrity Grammar, where you learn how to have better grammar than your favorite celebrities. 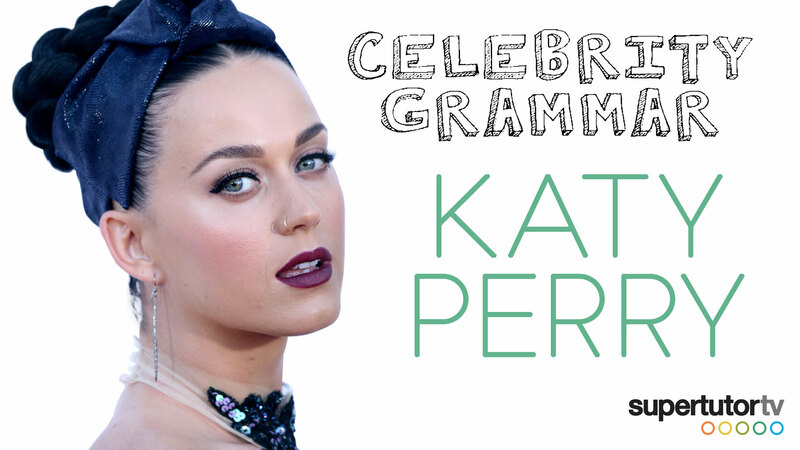 Rock the SAT test and ACT test English grammar sections with a quick lesson on comma splice as we break down a grammar mishap on Katy Perry's Twitter.